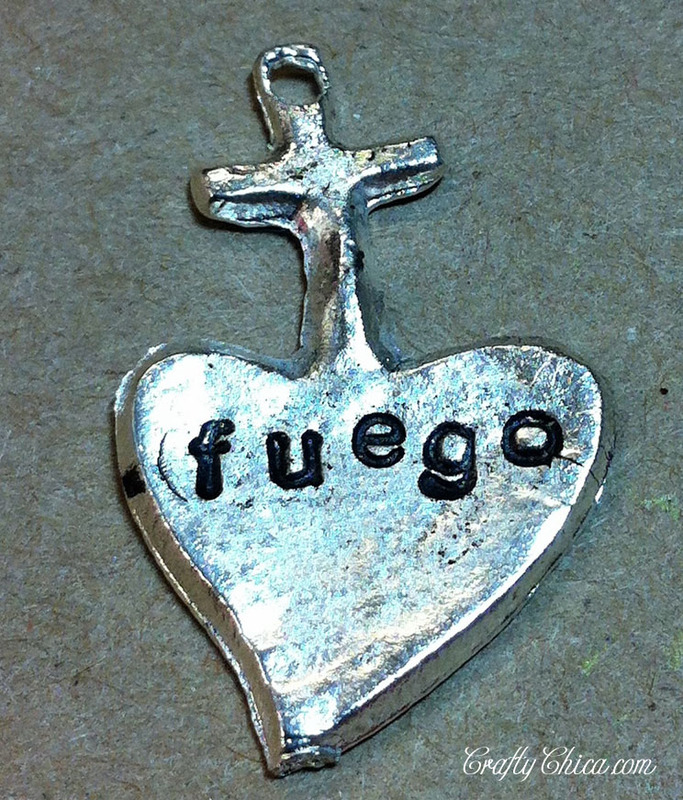 To complete this project, you’ll need some metal milagros that are flat. I tried all of the styles and the flattest ones worked the best! 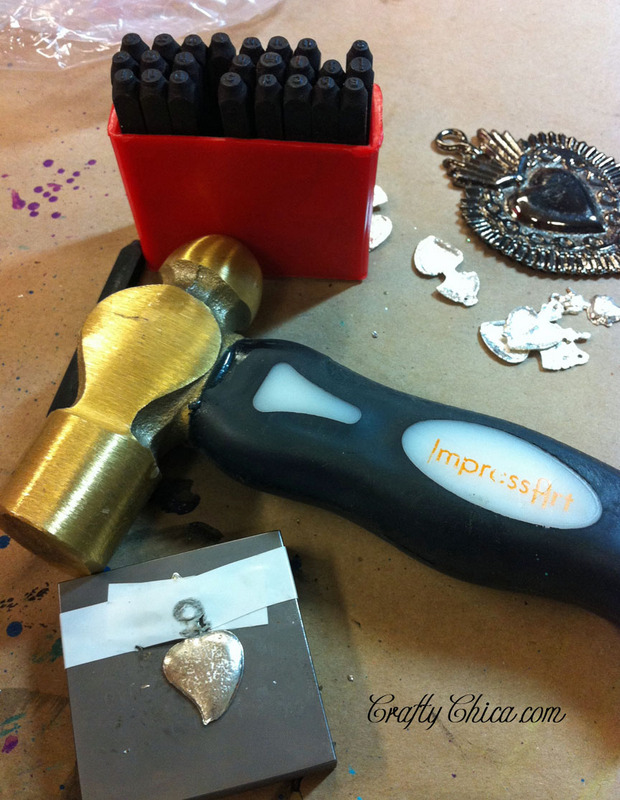 You’ll also need a letter set, a hammer, tape, a permanent marker and a steel block. 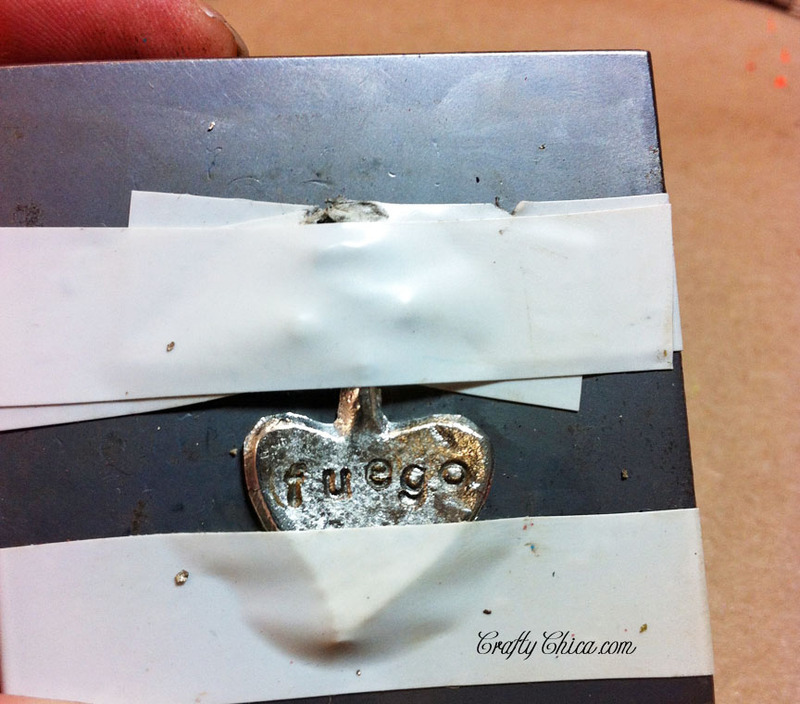 Tape your milagro to the steel block and pick out your letters. Make sure they are lined up right. I colored on the tips with the markers and pressed it on the table, just to be sure! 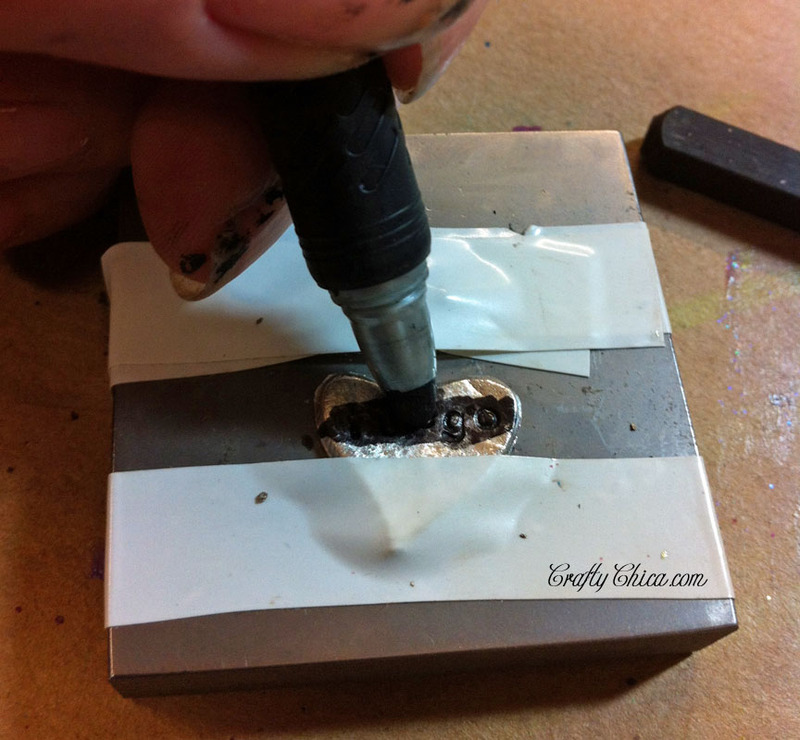 Once you’ve stamped in your letters, you need to make them really pop! 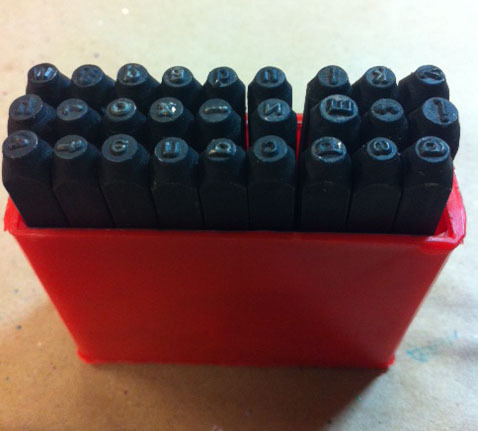 Take a black permanent marker and color generously in the grooves of the letters. 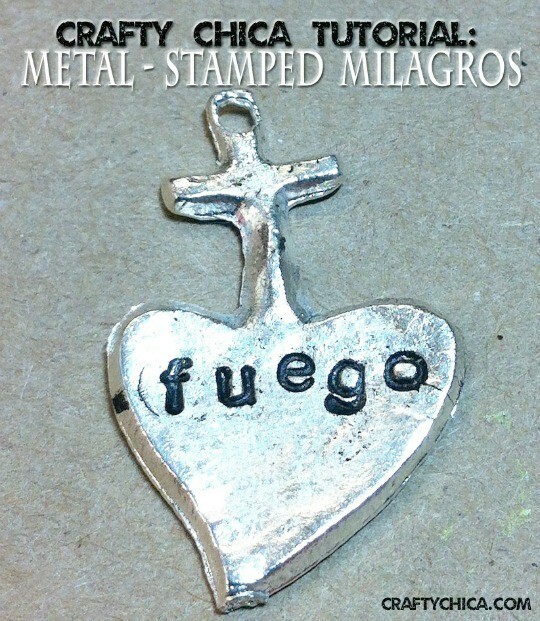 Immediately wipe away the ink off the top of the milagro. Now the ink will have settled in the letters! Isn’t that cool? Here is what it looks like when you’re done! I couldn’t help but make a few more! Next ArticleGetting ready for Dia de los Muertos! 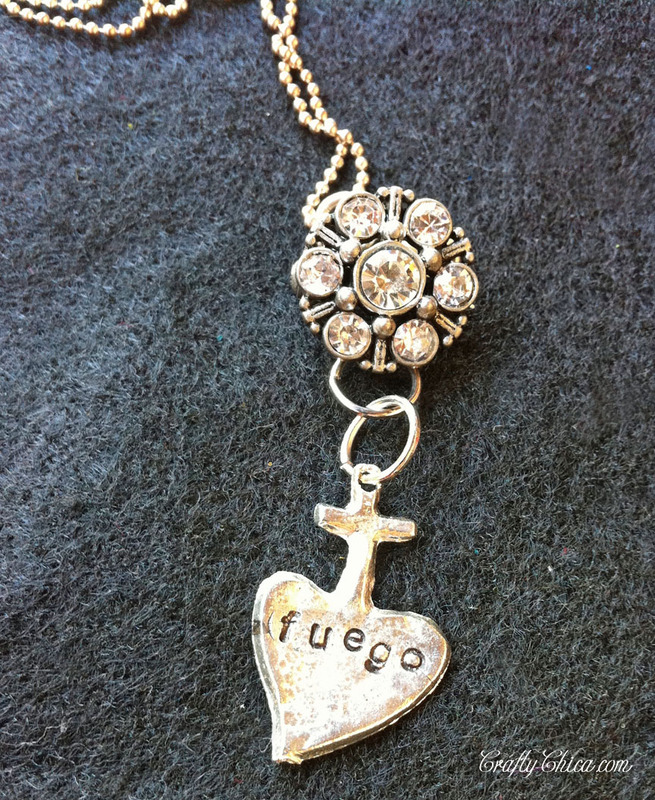 Just read your latest post on milagros – where do purchase yours? I do not live in an area that can get easily so have to order online. 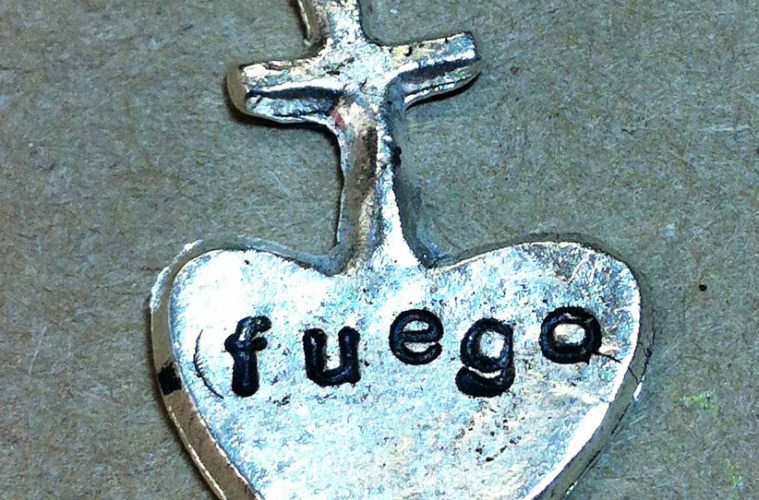 Thanks and the stamped milagros are gorgeous! You wrote, “Isn’t that cool?” Cool doesn’t even begin to cover it!!! : ) Another fabulous project! Thanks! 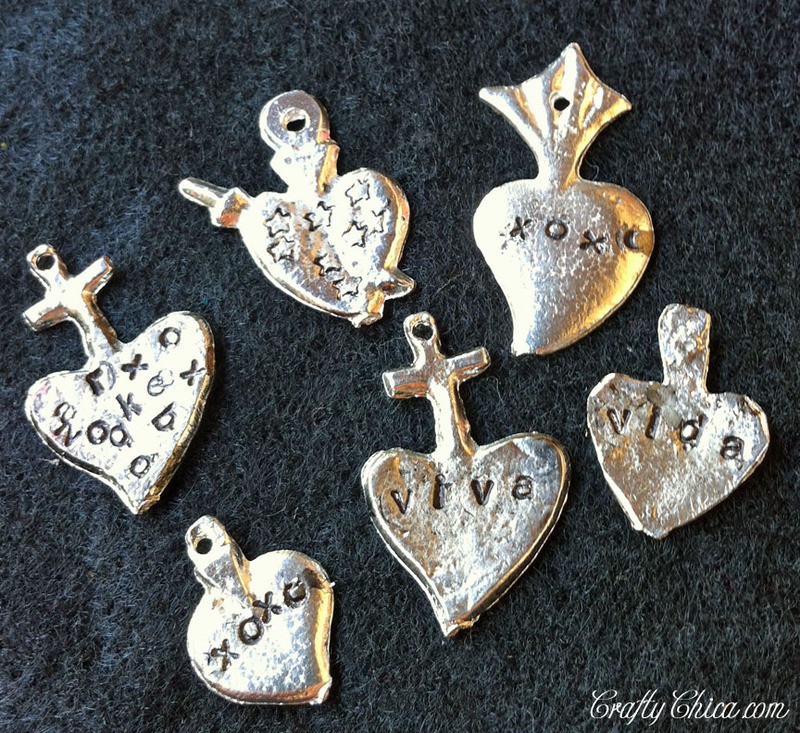 I want these with my girls names on it! Awesome! I’ve been looking for something like this! Any ideas of words to use for some I want to make for police officers?